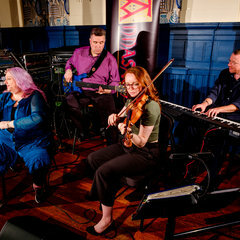 Come and dance to Annasach Ceilidh Band at our regular ceilidh in Edinburgh from 8pm. All dances can be called so beginners welcome. Tickets are priced at £10 and £7.50 conc and can be purchased here or at the door. Tickets purchased here will receive an e-ticket which should be brought with you on the evening. We look forward to playing for you :) Please note that an official photographer may be in attendance at this event. By purchasing a ticket you agree to any image being used by Annasach for future publicity.